Five Year 10 students from Shenton College presented their impressions of three – four days of exposure at the ConocoPhillips Science Experience held during January, 2018. This event is part of a national program to encourage high school students consider enrolling at a university to study one or more science, technology, engineering and math (STEM) courses. This experience is organized nationally each year and 65,000 students have attended to date. The petrochemical company ConocoPhillips is the naming sponsor with other organizations including Rotary providing financial and logistical support. The Rotary Club of Western Endeavour supported 8 students from Shenton College to attend this year’s event. 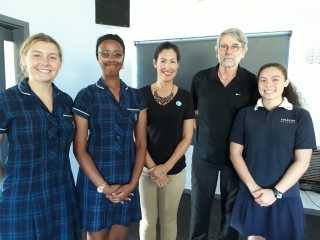 Of the five students who made presentations to the club on Tuesday morning 20 March, 2018, three (Gabriela Kado, Xavier Smith-Tan and Sulekha Elmi attended programs at the University of Western Australia (UWA), one (Lily Hardy) attended events at Edith Cowan University (ECU) and one (Joshua Ban) went to Murdoch University (MU). The three universities each provided science experiences for 5-6 groups of 15 students from schools in WA. Because each collaborating university offers dissimilar academic programs, participating students received different experiences. MU provided activities in Veterinary Science and rocket science, UWA in chemistry, physics and engineering while ECU concentrated on molecular biology and visit to the gravity centre. 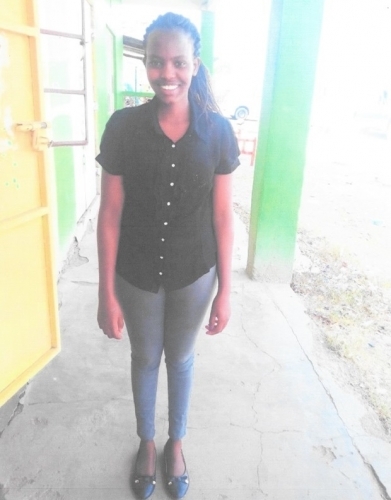 Gabriela Kado enjoyed using the small magnetic motors, use of chemicals including the superabsorbent sodium polyacrylate and the use of special goggles to train people on the effects of consuming alcohol on human reaction times. Lily Hardy had an opportunity to fly (and crash) a drone, measure gravitational waves and while in attendance kindled an interest in studying medicine. Xavier Smith-Tan and Sulekha Elmi both took a great interest in the uses of liquid nitrogen, space science and geology while Joshua Ban enjoyed his experiences with maths and engineering. All five students appreciated the assistance provided by the RCWE to attend the program. The RCWE notified Shenton College of the event and provided $1,000 in sponsorship. At the conclusion of the presentations club members congratulated the students on their presentations and encouraged them to continue studying STEM subjects as they are useful in a wide range of careers. Congratulations were also forthcoming for the college teachers who stimulated the students into STEM studies and to attend the Science Experience.